Eight weeks remain in 2013-including the busy holiday travel season-but apparently Airfarewatchdog has seen enough. 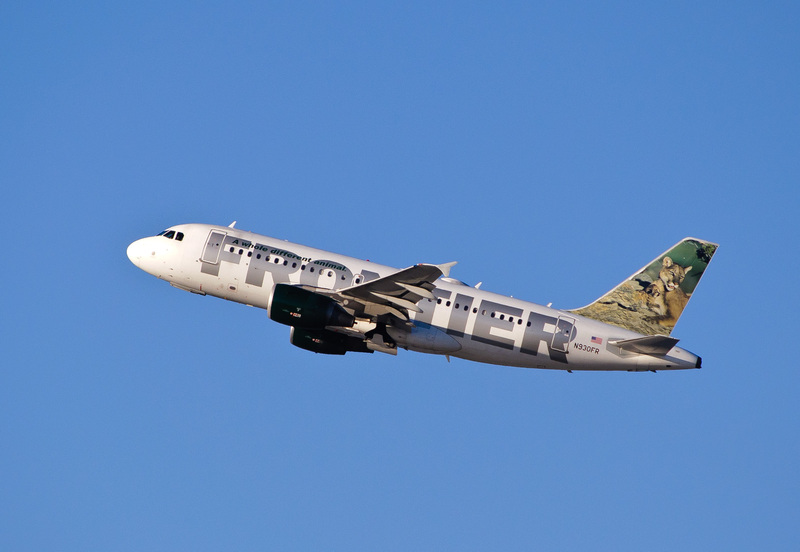 Last week it announced its picks for the best, and worst, U.S. airlines of the year. The top three were Frontier, Virgin America and JetBlue with United ranking last. Finding your airplane seats a bit tighter? Good news, it’s not because you stopped at Cinnabon one too many times while waiting for your flight (well, probably not anyway). By cutting back on the already tight seats in coach, airlines are hoping travelers will be more inclined to shell out for roomier, more expensive seats. You can fight this trend by refusing to upgrade and swinging your overstuffed carryon into the shoulders of those who have. Whether you are traveling in the U.S. or having a staycation this Saturday, be sure to include some culture. September 28 is Museum Day Live! (aka Free Museum Day), when museums all over the country open their doors without charging admission. The annual event is inspired by the Smithsonian museums, which offer free admission every day. You’ll have to register and download your free ticket in advance, which will get two guests in free to participating museums. The University of Chicago’s art museum is always free, but this weekend is also the Hyde Park Jazz Festival, and museum-goers can also enjoy free concerts in the sculpture garden. Serious airline nerds, frequent flyers and those on a long layover can check out this museum of aviation and American AIrlines history, just a few miles from DFW airport. Exhibits include a rare Douglas DC-3 plane. What’s Sin City without a little strip tease? See costumes, props and photos documenting the history, traditions and stars of burlesque dance. Pop music lovers can check out four floors of music exhibits and memorabilia. The current exhibition features the career of Ringo Starr, including an interactive drum lesson with the Beatles‘ rhythm man himself. Learn about the immigrant experience in New York’s Chinatown in a building designed by Maya Lin. Current special exhibitions on the glamour of Shanghai women and the role Chinese-American designers in fashion. Follow it up with dim sum in the neighborhood. Take your comics seriously? This is the art museum for you, with 6,000 works of cartoon cels, comic strips and book art. Best. Museum. Ever. While you may try to rack up frequent flyer miles from travel, airline-branded credit cards or online shopping, have you ever thought about pudding? One clever traveler turned a Healthy Choice promotion into enough miles to fly the world multiple times. In 1999, Civil Engineer David Phillips noticed a promotion from Healthy Choice offering 500 American Airlines miles for every 10 product bar codes sent in, with a double bonus for sending them in the first month. Phillips figured out that the promotion would extend to all of their products, and searched his area supermarkets for the best deal. He started with 90-cent cans of soup, and then found a better deal: individual packages of chocolate pudding for 25 cents apiece. He bought every one available, spending a total of $3,140. This gave him 12,150 puddings worth over 1.2 million airline miles. The story gets sweeter when you hear how he collected the bar codes for redemption. He started by putting his family to work, but they were soon (literally) sick of peeling the pudding lids and eating the stuff. He offered them up to Salvation Army for free, in return for the bar codes. For this, he was also able to get an $800 charitable tax deduction, bringing his investment down to around $2200. Netting over a million miles also gives him lifetime gold elite status on American, giving him an extra boost for accruing miles. His story inspired a similar plot in the movie “Punch Drunk Love.” Phillips continues to take advantage of frequent flyer promotions and deals, and now has over 4 million miles in his accounts.